Playing his holiday hits alongside the country hits of his career, the show has something for everyone. His critically-acclaimed holiday release Noel included five original and five classic songs and a slight dose of irreverence. Sandwiched between “Away in a Manger” and “I’ll Be Home For Christmas,” “Santa’s Gone Hollywood” is an equal opportunity offender for everything good and pure about jolly ol' Saint Nick. He supported the album with a Christmas tour, which is now an annual event. 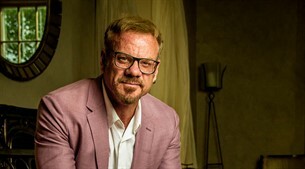 Country music hit-maker Phil Vassar is a piano-pounding powerhouse on stage. One of a handful of musicians to have multiple hits as a songwriter and as an artist, Vassar has 10 Number 1s, 15 Top 10s, and 26 TOP 40s. Top songs include “Just Another Day in Paradise,” “Carlene,” “Six Pack Summer,” & “My Next Thirty Years” (Tim McGraw),” Right on the Money” (Alan Jackson), “Bye-Bye” (Jodee Messina) and many more. American Soul is Phil’s ninth album. He also recently launched “Songs from the Cellar” a wine-infused musical conversation airing across the US and Europe.